Norwich, Connecticut has a rich history. This city was founded in 1659 when it was purchased from the local Mohegan tribe. It was incorporated in 1784 and was one of the first five cities in Connecticut. The rapid growth has transformed this city into a modern urban center. Finding a high quality dentist should you have a dental emergency while visiting here is no issue. The city has a wide variety of options when it comes to general dentists to specialists. You will find what you need here. A list of local Norwich dentists and specialists have been compiled by Emergencydentistsusa.com. Here you will find a comprehensive list of both general dentists and specialists such as pediatric specialist, orthodontists, periodontists, and more. Should you need to find a dentist look at the list provided or feel free to call our toll-free dentist finder hotline. A call to our hotline will connect you to one of our friendly team members. They are there to assist you in finding the dentist or specialist that can help you. We understand that a dental emergency is a scary and stressful time. We are available to help you through the process of finding just the help you need. It is recommended that you arrive 15 minutes dearly to your scheduled appointment in order to give you time to fill out any necessary paperwork. You should bring along your ID, insurance card, and any copayment that might be required. Let the office staff know of any allergies or current mediation you have. 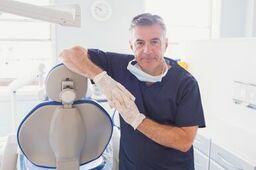 There are many dental options available to your in Norwich Connecticut. You are able to choose from many dental offices. You can choose from family dentists, orthodontists, periodontists, cosmetic dentists, implantologists, and more. A general dentist is what most patients with a toothache require. They are there to ensure that your problem is not serious. If they are not able to handle the procedure, they will refer you to a specialist who can. Description: We here at Norwich Family & Cosmetic Dentistry are committed to making your visit a pleasant experience. Our office is family friendly and is there to listen to your needs and concerns. Our staff is well trained and provides the most up-to-date dental care using the newest technology available. We want our excellence in dentistry to make you confident that we can help you with your beautiful smile. Description: Here at Norwich Family Dental Associates we understand that your needs are unique. We offer a selection of treatment options that are done in a comfortable atmosphere. We aim to provide you with excellent dental care that no other dentist in our area can offer. We specialize in improving smiles and offer general dentistry, teeth whitening, crowns, exams, and more. We look forward to caring for your dental needs. Description: Welcome to Family Orthodontic Care. We provide you with the highest quality orthodontic care in all of Norwich. Our office utilizes the latest in technological advances along with the latest in computer technology. We aim to provide you with the most effective care possible in a friendly, comfortable environment. We look forward to seeing you and encourage you seek the treatment you require here. A toothache that lasts longer than an hour or more should be looked at. There are many serious dental problems that could be lurking and you need to have the care necessary to prevent further complications. It is extremely important that should you have been involved in an accident, you visit the local urgent care facility or the ER first. Educate yourself before you head into a new dentist’s office. You want to take the time to do your research and ensure the dentist you select has the proper credentials and licenses for the state. You can do this by going to the Connecticut State Dental Association website and typing in the dentist’s name. You can then verify the information you require.